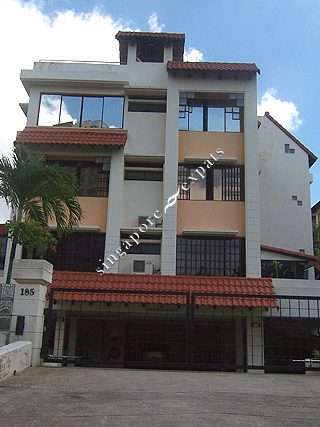 HAIG APARTMENTS is located at 185 HAIG ROAD in district 15 (Katong, Siglap, Tanjong Rhu) of Singapore. HAIG APARTMENTS is a Condo development. Educational institutions like CHATSWORTH INTERNATIONAL SCHOOL (EAST), CANADIAN INTERNATIONAL SCHOOL (TANJONG KATONG), ETONHOUSE INTERNATIONAL SCHOOL, TANJONG KATONG PRIMARY SCHOOL, HAIG GIRLS' SCHOOL and CHIJ (KATONG) PRIMARY are near to HAIG APARTMENTS. HAIG APARTMENTS is accessible via nearby DAKOTA, PAYA LEBAR and EUNOS MRT Stations. SingaporeExpats.com had been providing free floor plans for more than 10 years. Unfortunately, we are now unable to do so due to rising costs. We currently only provide floor plans for Property Account Subscribers. Kindly support us by signing up a Property Account which can also enable you to post ads, search open listings. Click on the Subscribe button to see the features and the subscription rates. Already a subscriber? LOGIN and find this floor plan in Ad Centre.